Hey craft friends... took a little break for some much needed down time. 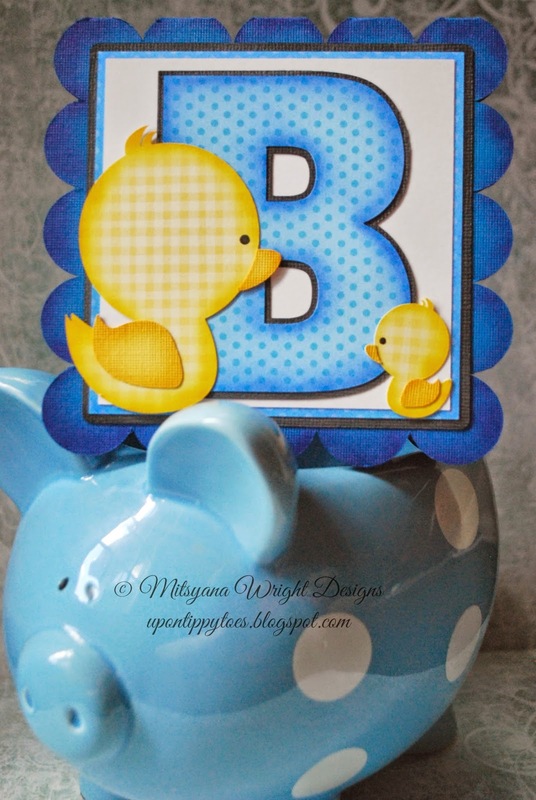 And just stopping in to share a really quick and easy Baby Ducky Card. and Baby Duck for the cute little duckies. For the Monogrammed "B", I used the Rockwell Extra Bold font. For a the deep tone on tone shading I used my eBrush with Spectrum Noir markers and airbrushed all my paper pieces. Sorry no step by step instructions here. Will be working on more in depth tutorial soon and possibly video tutorial also. Thanks for stopping by and hope to see you all soon!